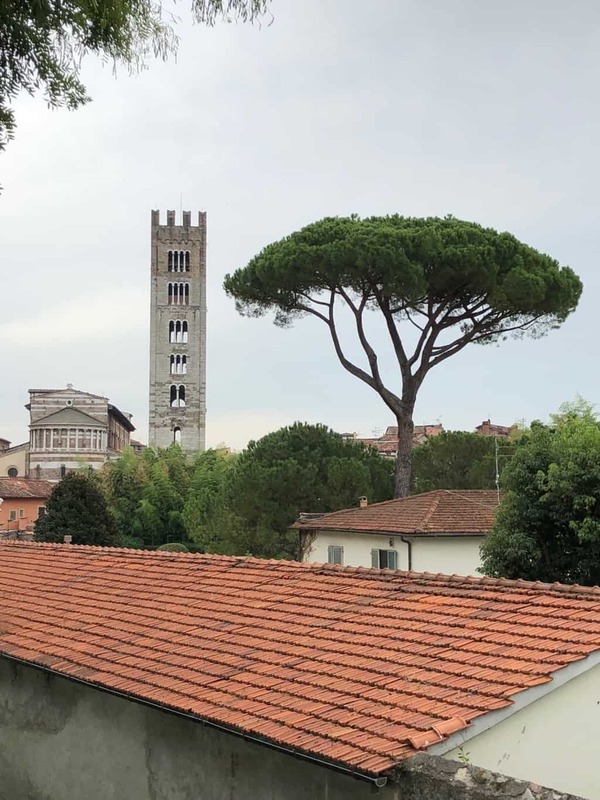 Home » Italy 🇮🇹 » Lucca, Italy. 2018. 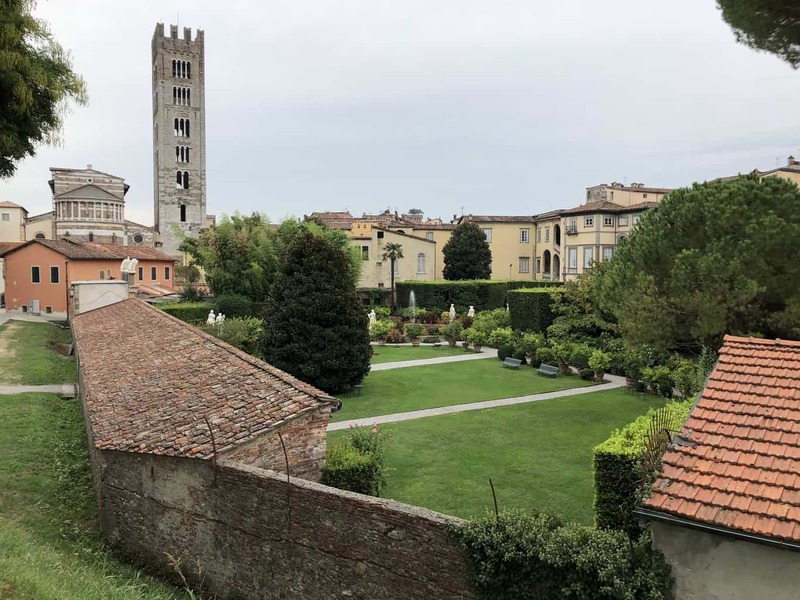 Travelled: 159 kilometres from Arezzo to Lucca, both in Tuscany, Italy. Budget: 102 days @ €93 per day. 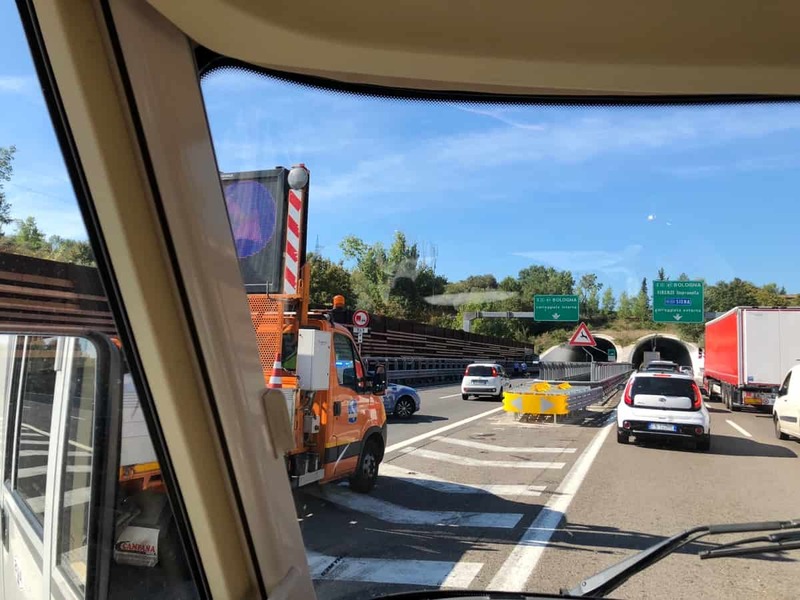 We were a little woried as we went to bed last night in Arezzo, nothing unsafe but it became obvious that most of the motorhomes in this large car-park are actually just here in storage. So on one side we have ouselves and three other motorhomes, about 30 unattended motorhomes scattered about and perhaps 3-4 old caravans and an old camper-car that seems more permanently based on the far-side of the car-park. But other than some random dog barking near bedtime all was quite. The sun is up early and we can feel a warm day coming. 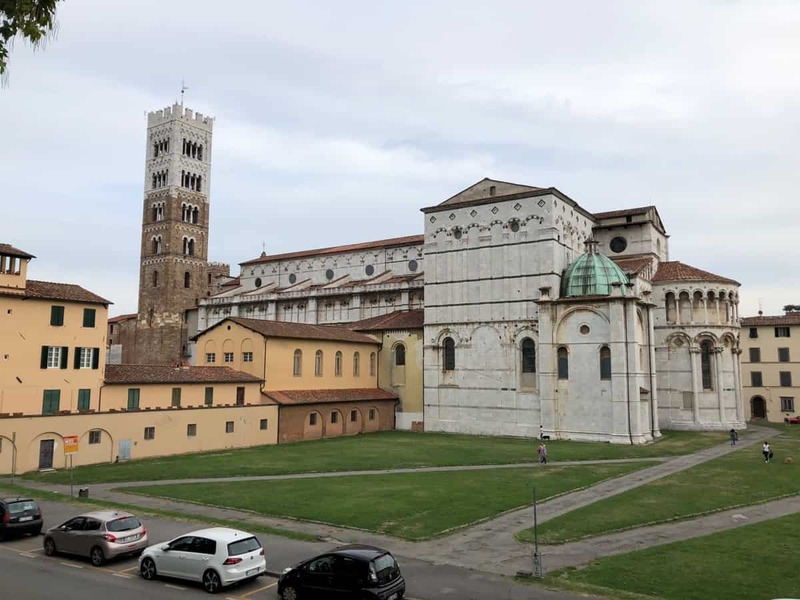 We are planning on Lucca in northern Tuscany today, so we have coffee and breakfast before making for the sosta service point about 500m up the road. The services are free, but the sosta costs €8 overnight and we economised as usual. Anyway we hit the road, taking the motorway, to avoid another day of dodging pot-holes. We loose about 30 minutes getting past this accident on the Florence by-pass. It’s a balancing act, more accidents and delays on the motorways but less pot-holes. 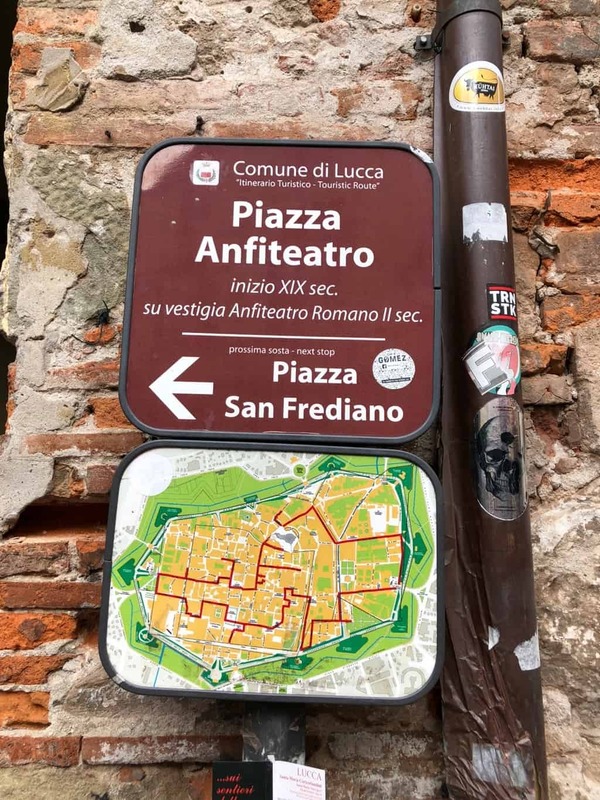 Lucca has two parking options a large free car-park and a small paid sosta. You should know our preference by now. However we are meeting friends from Sydney in Lucca tomorrow and it’s festival week. So we keep our options open. 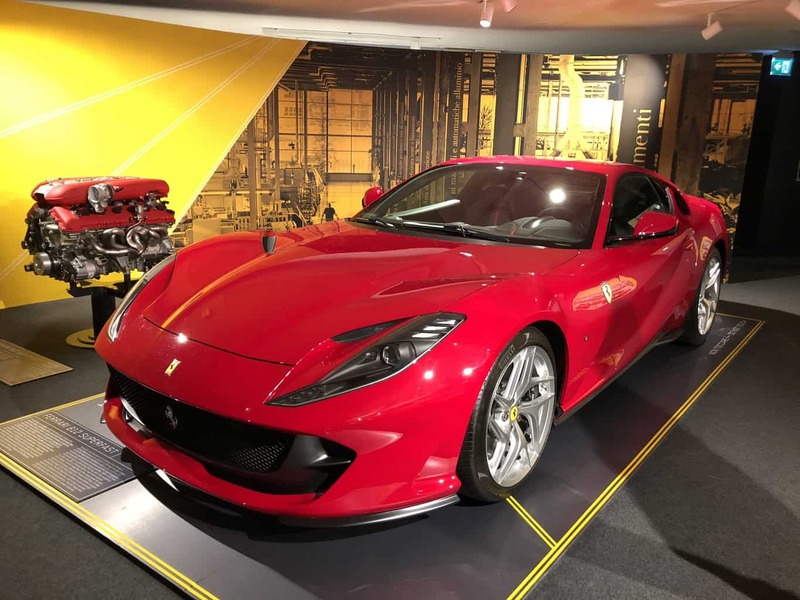 The free car-park is now the Luna Park Showgrounds, so the paid sosta it is ! 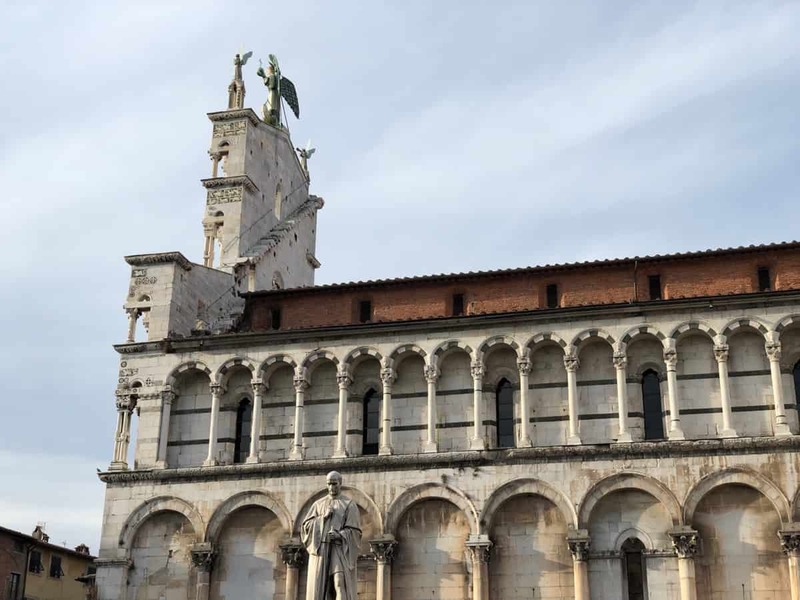 Lucca like so many others Truscan towns started as an Etruscan village, eventually consumed into the roman empire, becoming an important trading centre. It came of age in the renaissance when these bastion walls were built. Napoleon took an interest, installing his sister here as warden in 1805. 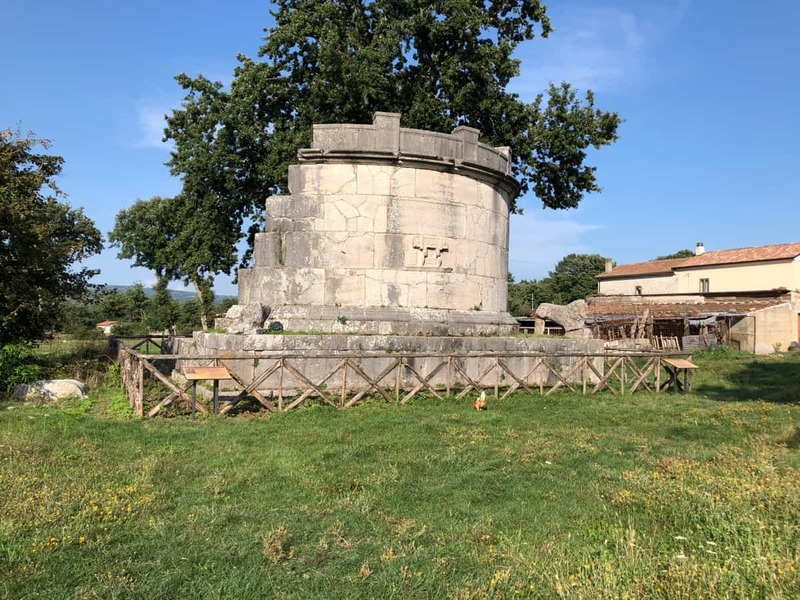 Our sosta is situated in Del Borgo, just 200m outside the walls. Porta St Mary is the closest gate so we go for a wander. 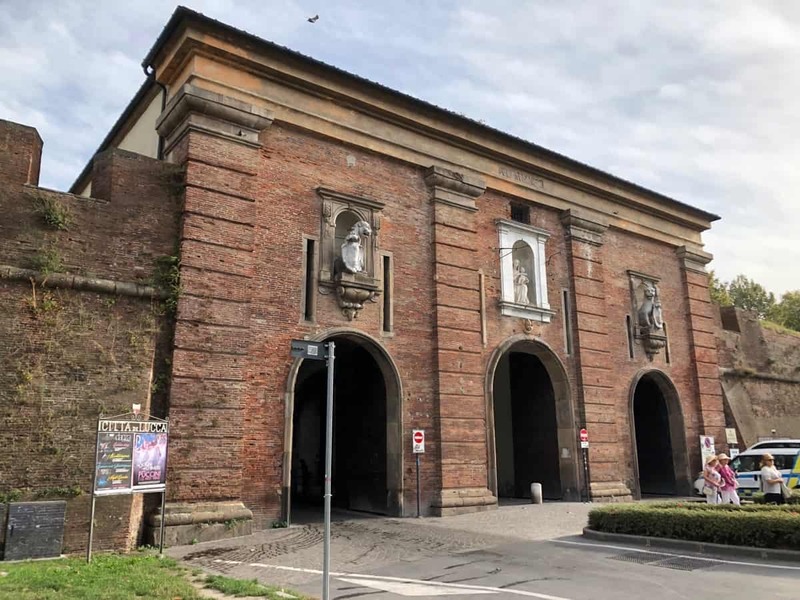 Through the gate we turn right for the Basilica di San Frediano. 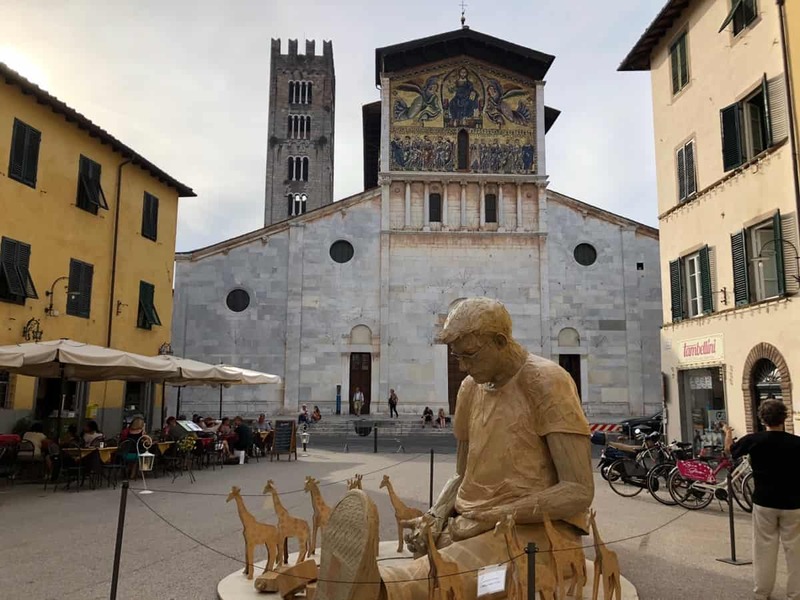 Famous for the golden fresco that adorns the facade, however drawing most attention today is a 3m high sculpure (in little strips of carboard) of a man surrounded by giraffes. 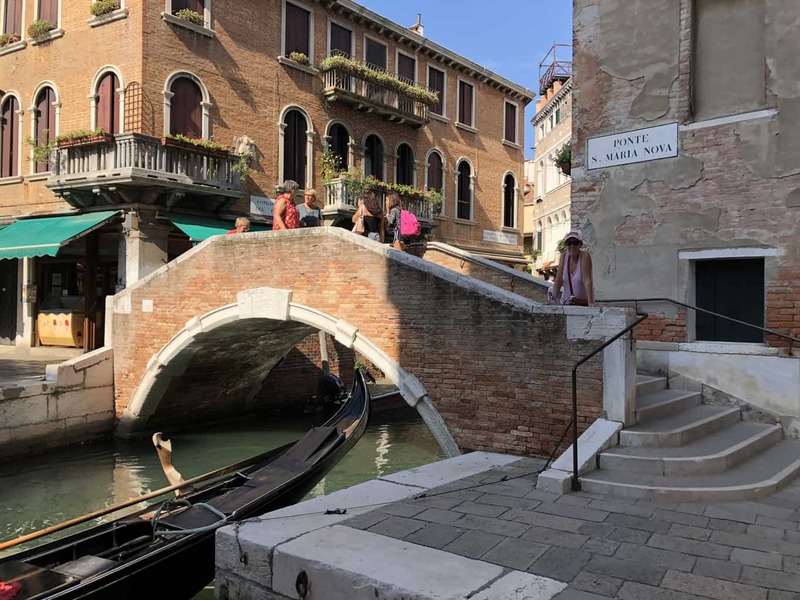 We cross over to Via Fillungo which seems to be the main pedestrian thoroughfare, as it is full of pedestrians. 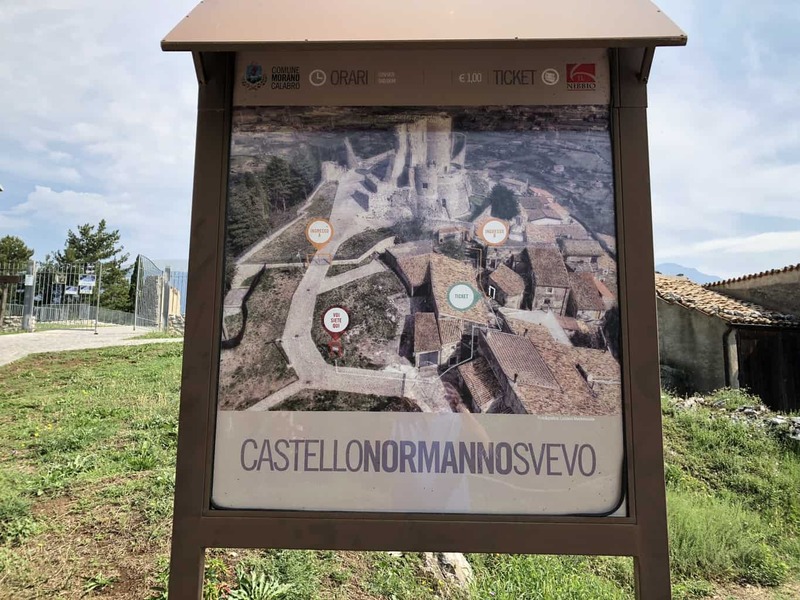 Our map shows the roman anfiteatro, we see the sign above and walk in for a look. The roman amphitheatre is long gone but its oval shape remains in the shape of the piazza. We both comment on how similar it is to ‘The Forum’ in Sydney’s Italian suburb of Leichhardt. Just another one of Lucca’s numerous church’s and chapels. In other words I cannot find its name. Off Via Fillungo we walk up this laneway to explore Piazza San Michele. 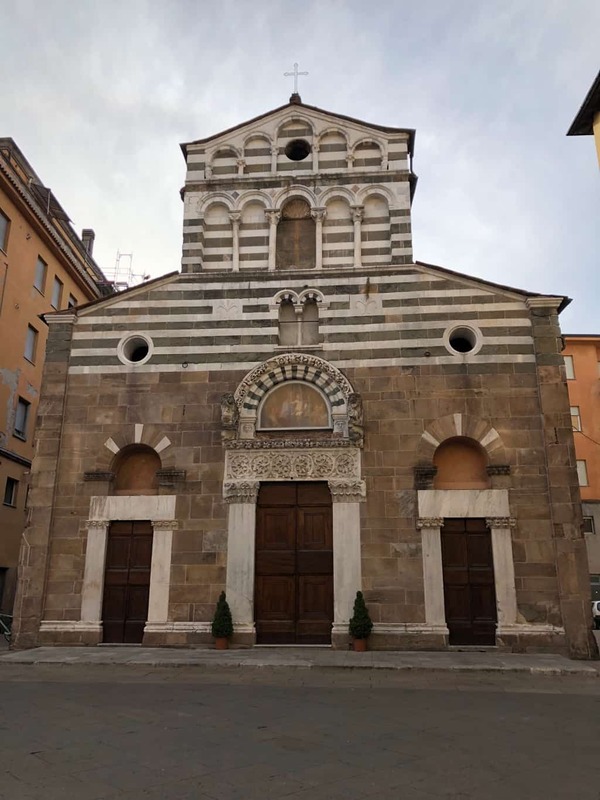 The Church of San Michele de Foro. 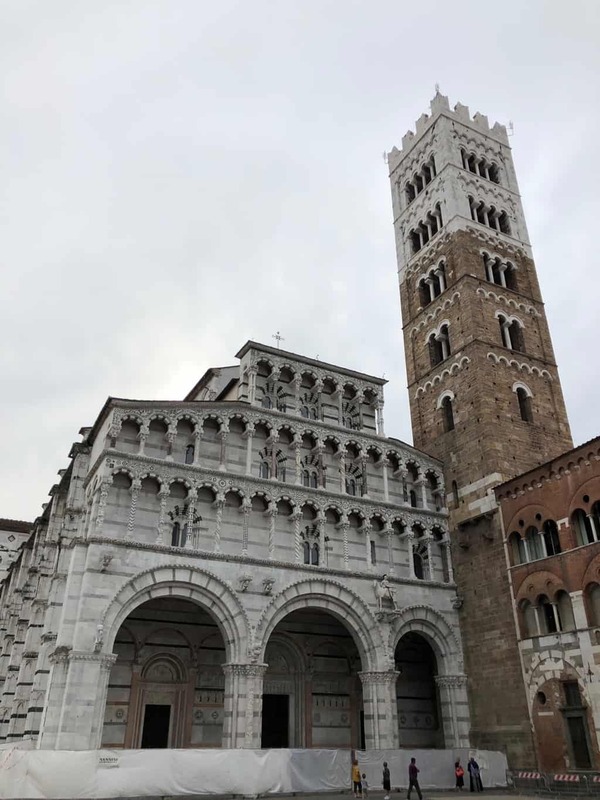 Long ago the seat of the Bishop until the Duomo was complete. Unfortunatley it was closed. Take notice of the exposed stair to the top of the facade. Good job for the apprentice! 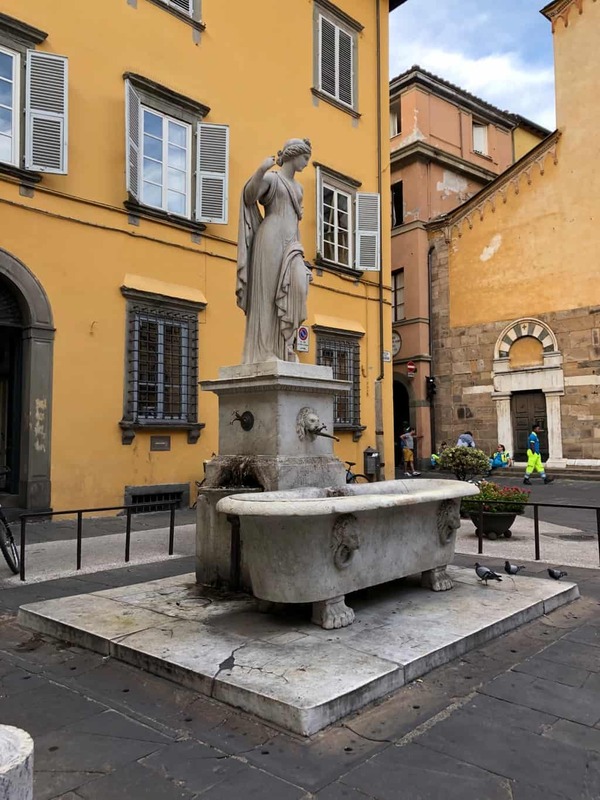 Our afternoon walk concludes as we wander back to the Hymer we find this interesting fountain, come bath tub. 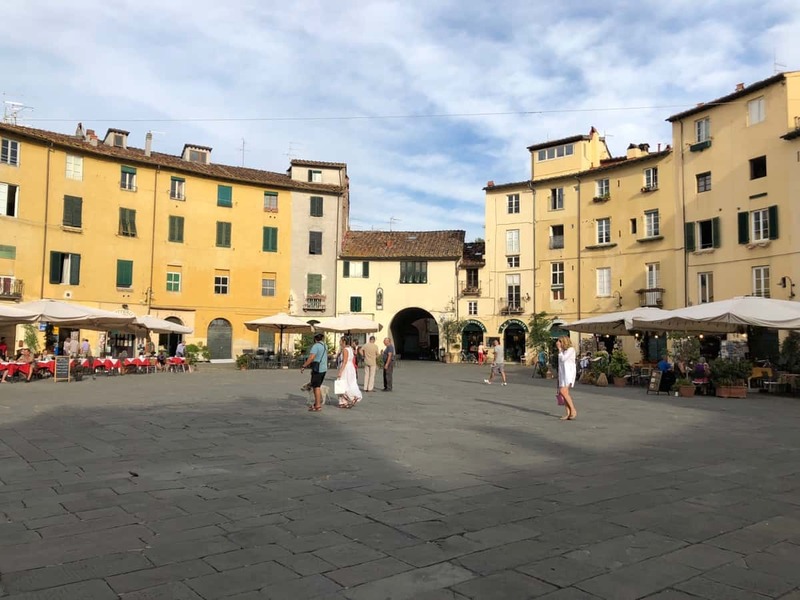 As we are walking out Lucca is coming alive with people coming out for gelato or drinks. 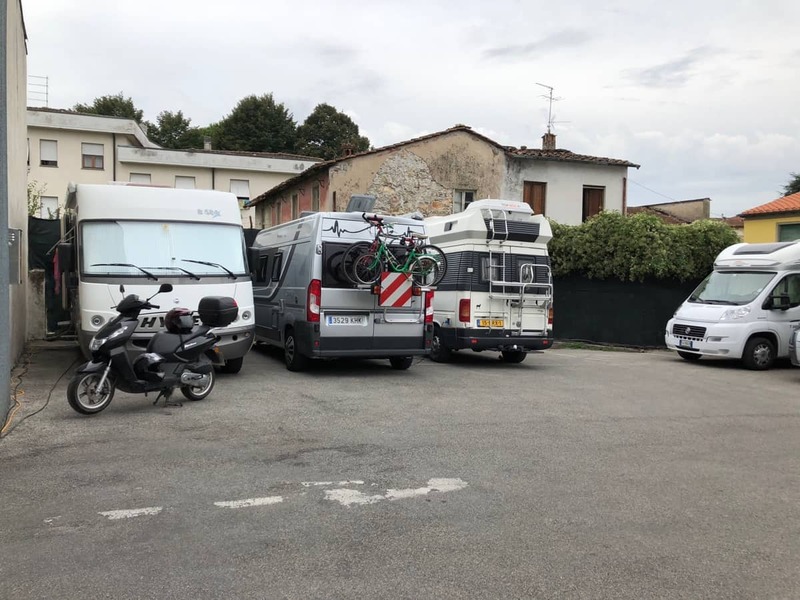 The small sosta is now crammed with motorhomes in every possible spot. We eat in with the sounds of the Luna Park in the background. It’s loud but doesn’t stop our sleep. 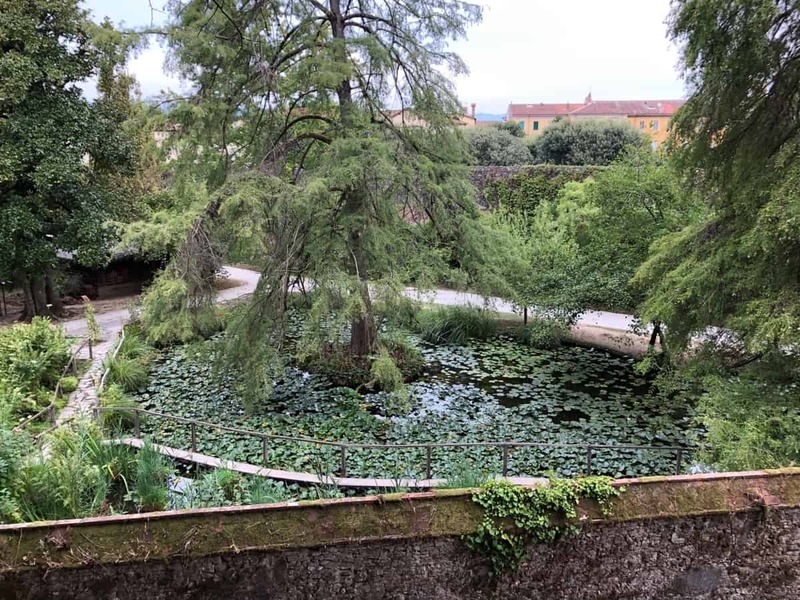 After coffee we set off to walk the old bastion walls of Lucca. 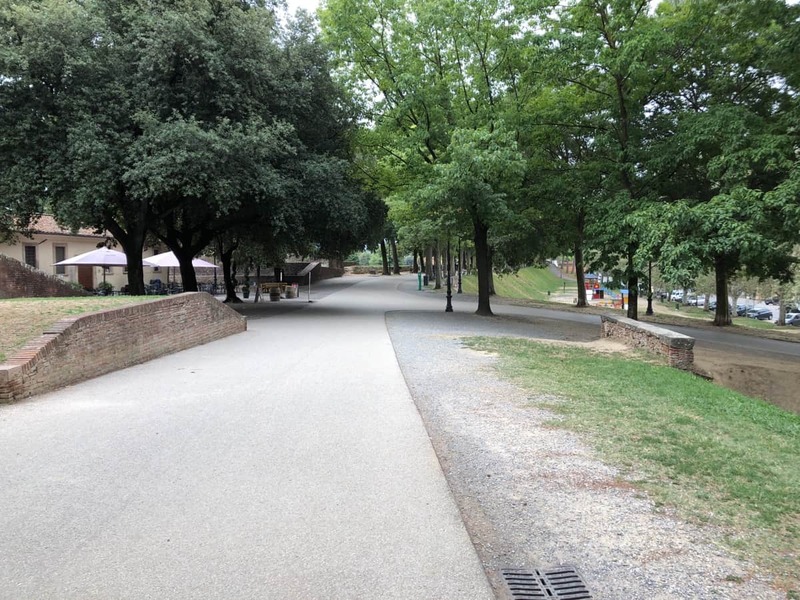 There is a walking and cycling path circling Lucca on the bastion walls. Lots of beautiful trees as well. We pass a small park and pond as we go. 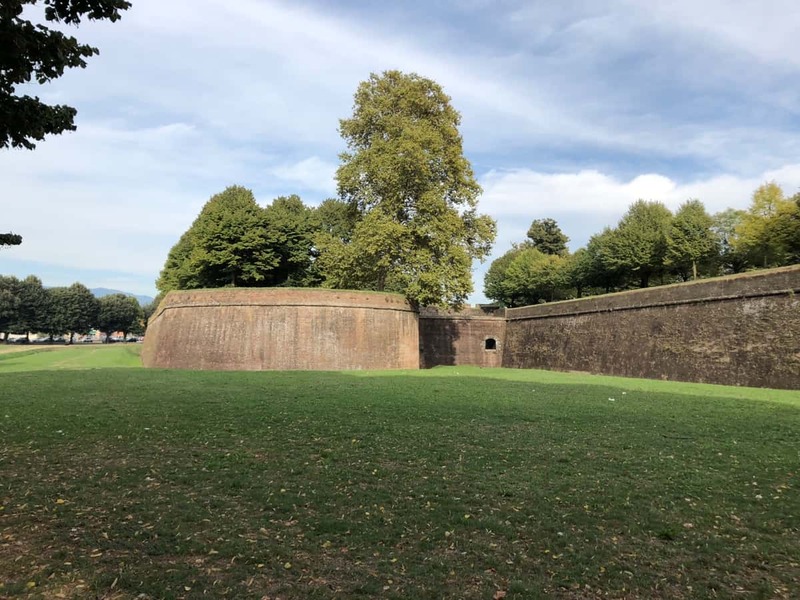 Still walking the bastion but now on the far side of Lucca. We see a sign to the Duomo. So we wander over for a closer look. 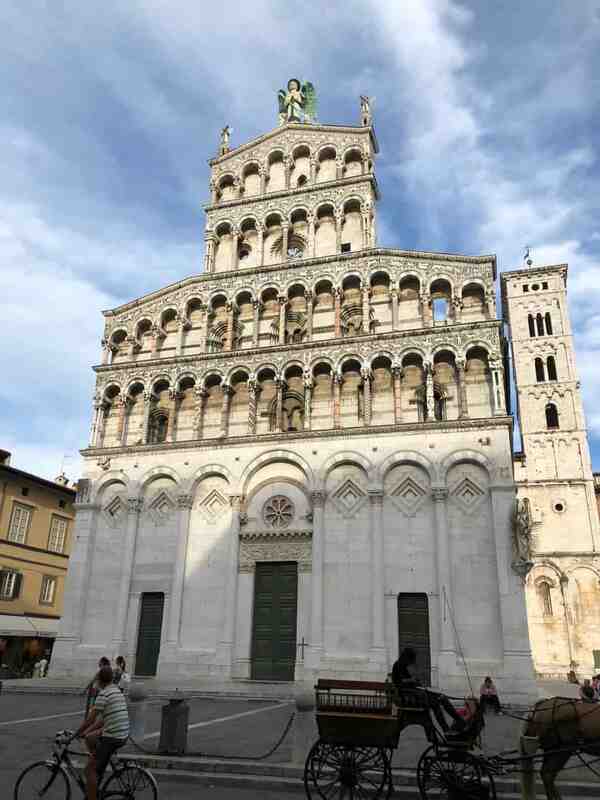 The Cathedral of San Martino or as all the signs indicate, the Duomo. It was open but we had left without any cash and the entry was €3pp, so we didn’t get to look inside. 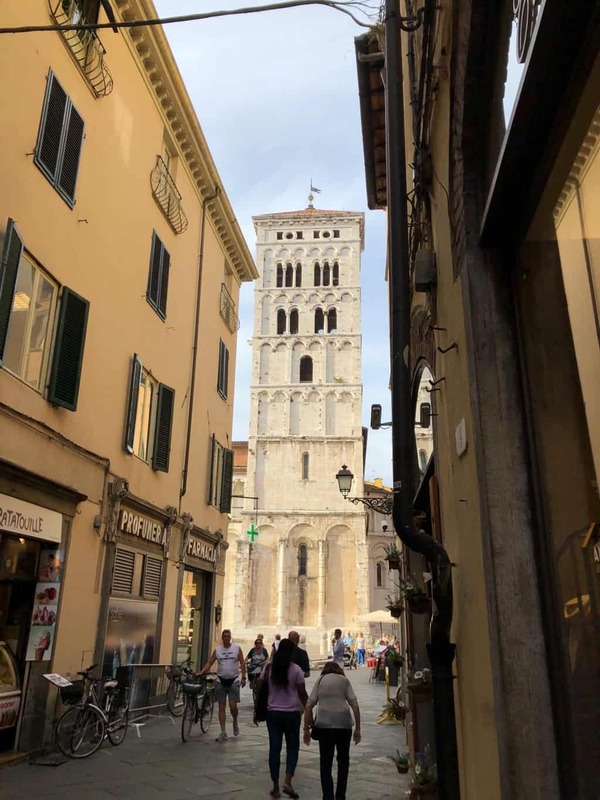 Walking the bastion walls takes a good hour at a solid pace, so by the time we had a quick look at the Duomo its 90 minutes before we are back at the Hymer. 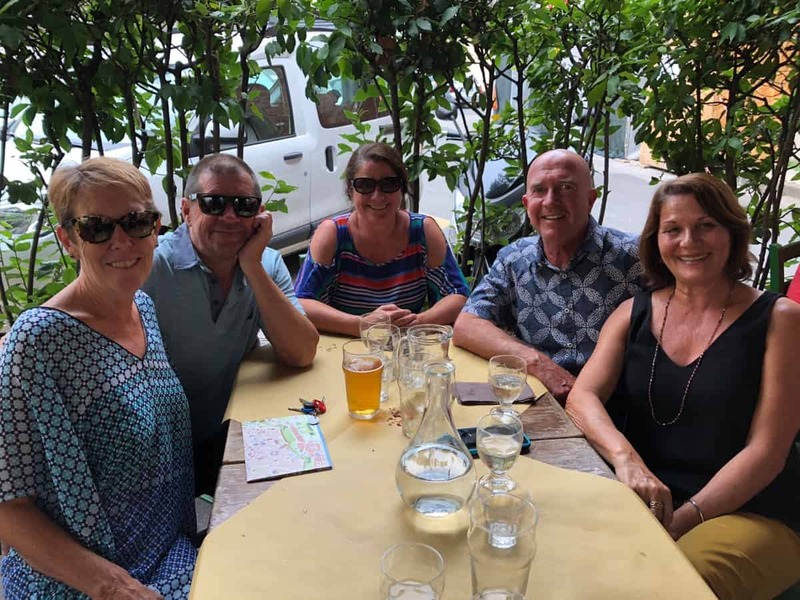 Pam, myself, Trish, Rob and Doriana at the start of our long long lunch. On their recommendation we purchase tickets for a performance tonight at the “Puccini and his Lucca” festival. So our long lunch continues at various venues until the concert starts at 7pm. 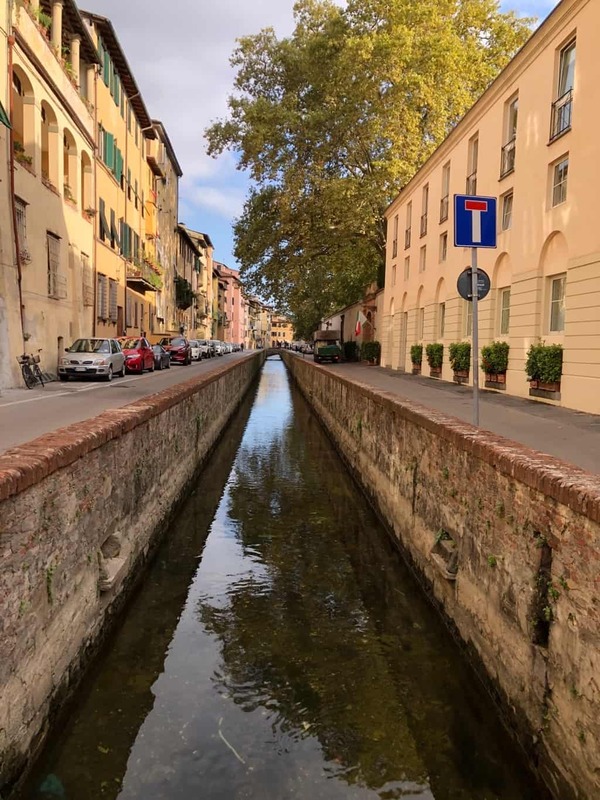 Don’t know how we missed this during our walks yesterday, but a we found this stream running through the centre of Lucca today. It’s been a long day and it’s well and truly dark as we make our way back to the Hymer. Lots of good food, drink and talking travel today. Then the Puccini Festival to finish it all off. We share a hamburger on our way home and despite the noise from Luna Park sleep well again. Previous post Arezzo, Italy. 2018. Next post Modena, Italy. 2018.